Rated 2/5 based on 1 reviews. 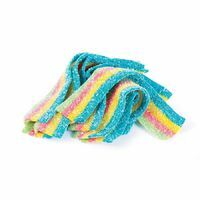 These multi-coloured Unicorn Barf tutti frutti flavoured rainbow strips are much tastier than they sound and might even be the proof that Unicorns are not always perfect. Even Unicorns can over-do it sometimes. You get 70 grams of Sour tutti frutti flavoured multi-coloured candy strips in the box, and yes, they are as awesome as Unicorns. Wasn't much in the box - 3 x as much air as 'barf'. 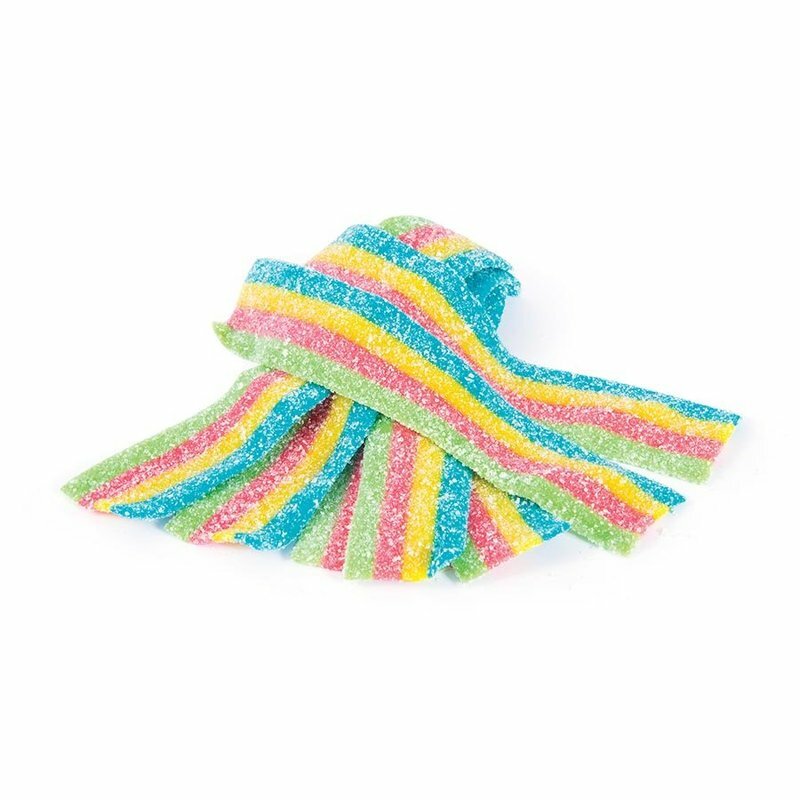 What was there, was yummy though! 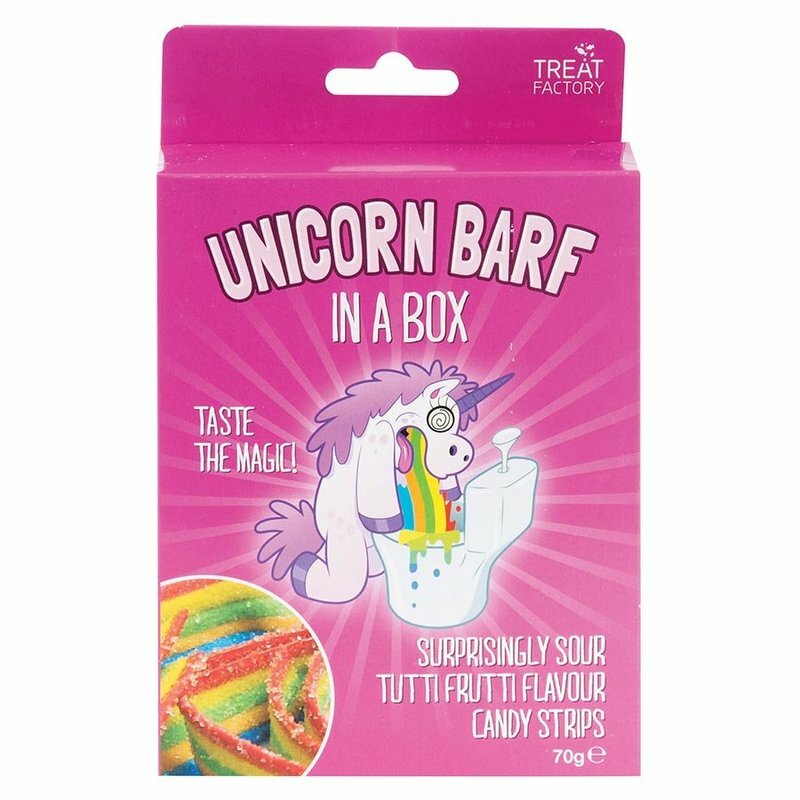 We've just spoken with the Unicorn wranglers out on the farm about this, you do get a full 70grams worth of Unicorn barf in the box. The air space you mention is required to prevent the mythical powers of the barf from being too compressed and thus losing its mythical power.